From Emanuel Pimenta: In 1973 I started a long photo essay with portraits of artists, scientists, thinkers from different countries, as the expression par excellence of a planetary Zeitgeist. It is titled SOULS. Now, I’m releasing the forty years version of this essay (SOULS 40 Years – 1973 to 2013) with the publication of a book in four volumes and a movie at the Streaming Museum in New York – three hundred and fifty people in forty countries. The books have portraits of René Berger, Leonel Moura, William Anastasi, Dove Bradshaw, Roy Ascott, Maurizio Barbetti, Jorge Lima Barreto, John Cage, Merce Cunningham, Maria Bonomi, Daniel Charles, Ornette Coleman, Phill Collins, Phill Niblock, Joe Cocker, Alberto del Genio, Stan Getz, Marcia Grostein, Hans Joachim Koellreutter, Takehisa Kosugi, Pierre Levy, Arthur Loeb, Harald Szeemann, Pierre Restany, Mario Merz, António Cerveira Pinto, Artur Matuck, Hermeto Pascoal, Monika Weiss and many more. Especially the movie SOULS 40 Years includes thoughts of the Mahabharata, John Cage, Alvar Aalto, Theodor Adorno, Woody Allen, Guillaume Appollinaire, Louis Aragon, Hanna Arendt, Rudolf Arnheim, Jean Arp, Antonin Artaud, Gaston Bachelard, Pablo Picasso, and Joseph Beuys. In April 2014 it will be an exhibition at Baahng & Co in New York City. SOULS 40 Years is dedicated to a dear friend, whom I greatly admire and with whom I have collaborated on mutual projects since 1990, nearly twenty- five years ago: Lucrezia De Domizio Durini. The book has a preface by the genius critic, curator and art historian Pilar Parcerisas. I’ve no words to thank Pilar Parcerisas, Nina Colosi and Jennifer Baahng for their immense support in this version SOULS 40 Years. The history of this project, with its mysteries – including introductions, texts etc. – is at here. The books – which are , as always, for sale at cost price – can be ordered at here. From Haresh Lalvani: We are pleased to share this Pratt video link on Haresh Lalvani entitled Future of Soccer Ball Design. Here’s the text from the Pratt website: The 2014 World Cup “Brazuca” soccer ball has been touted as being the most advanced ever made after the company spent two years designing it with fewer panels of a single shape across the ball’s surface. Such “single-panel” design makes the ball smoother, rounder, and more consistent. But Pratt Institute Architecture Professor and designer Haresh Lalvani says the preferred “one-panel” design means future choices for ball designs are limited. In 2007, Lalvani disclosed one-panel soccer ball designs in a patent which included a very similar design to the 2014 World Cup soccer ball. He says that through mathematics and geometry it is possible to see where innovation in ball design may be heading. From Jay Kapraff: Jay Kapraff’s new book “A Participatory Approach to Modern Geometry” has appeared. This book aims to make the subject of geometry and its applications easy and comfortable to understand by students majoring in mathematics or the liberal arts, architecture and design. It can be used to teach students at different levels of computational ability and there is also sufficient novel material to interest students at a higher cognitive level. While the book goes deeply into the applications of geometry, it contains much introductory material which up to now may not have been known to the student. The constructive approach using compass and straightedge engages students, not just on an intellectual level, but also at a tactile level. This may be the only rigorous book offering geometry that attempts to engage students outside of the mathematics discipline. More info: here. 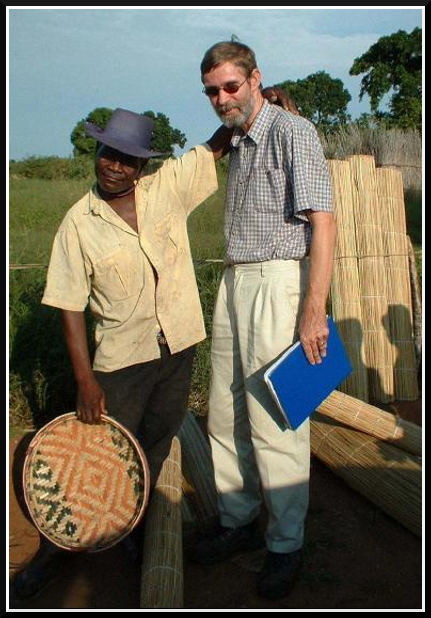 We are sorry to report the death of Paulus Gerdes, internationally renowned symmetrologist on November 10, 2014. He was a member of the Advisory Board since ISA’s foundation in 1989. Paulus Gerdes was internationally known for his work in ethnomathematics, as he learned from ordinary people and their use of geometry to improve mathematics education. (Maputo: Centre for Mozambican Studies and Ethnoscience, Universidade Pedagógica, 2010). 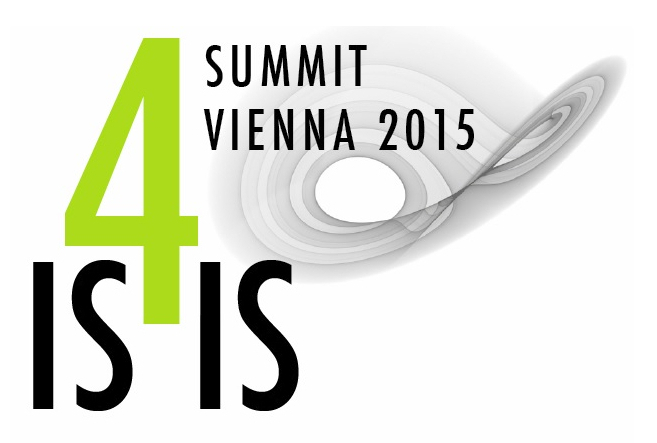 IS4IS Summit Vienna 2015 – The Information Society at the Crossroads – Response and Responsibility of the Sciences of Information will be organized at Vienna University of Technology, June 3-7, 2015.
International Symmetry Association joins to the scientific preparations of the large event, contributes with several sessions, an art exhibit and community events, moreover provides publication forum for the congress’ symmetry-related papers. As we may teach – ICT in education: an odd couple. Read the call for papers and join to the session, here! Information in the exact sciences and symmetries – approaches of physics versus those of philosophy of science. Read the call for papers and join to the session, here! 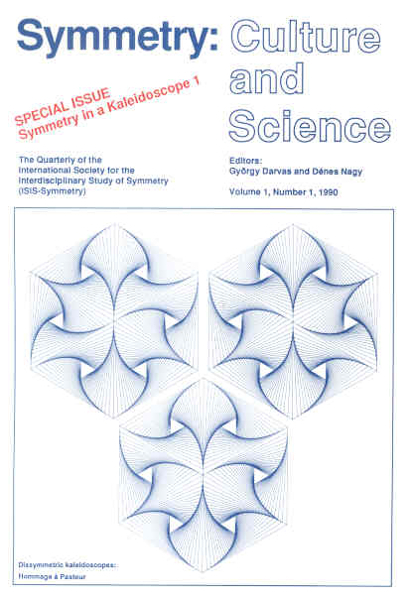 For the recent issue and calls for papers of upcoming thematic issues of Symmetrion’s journal Symmetry: Culture & Science, please visit the journal’s website! 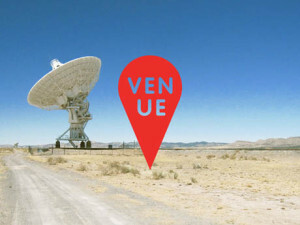 New venues for future events – be our host! In 2016 – commemorating the Centenary Year of General Theory of Relativity – International Symmetry Association plans to organize the next Symmetry Festival. Bids to host the event are welcome! International Symmetry Association is continuously looking for venues, hosts and collaborating partners for future festivals and smaller events, like symposia, seminars, workshops, outreach activities, etc.